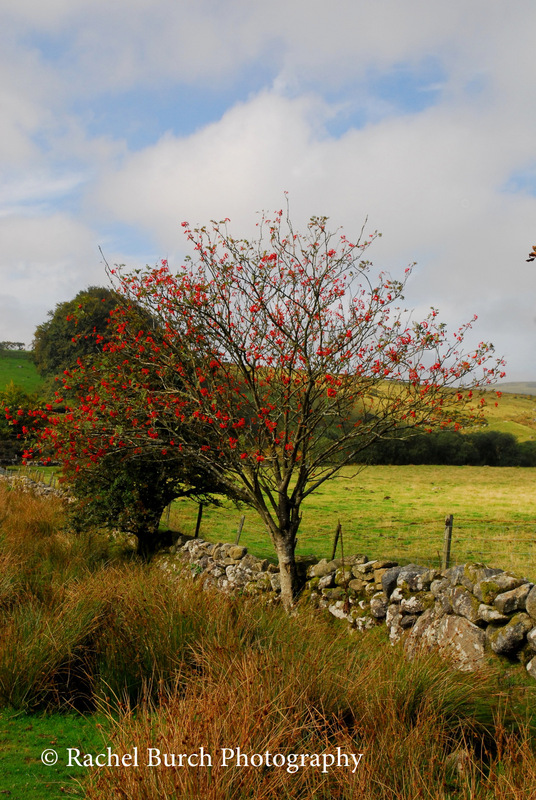 I met my students in Postbridge car park, now quieter after the madding crowds of summer have left. 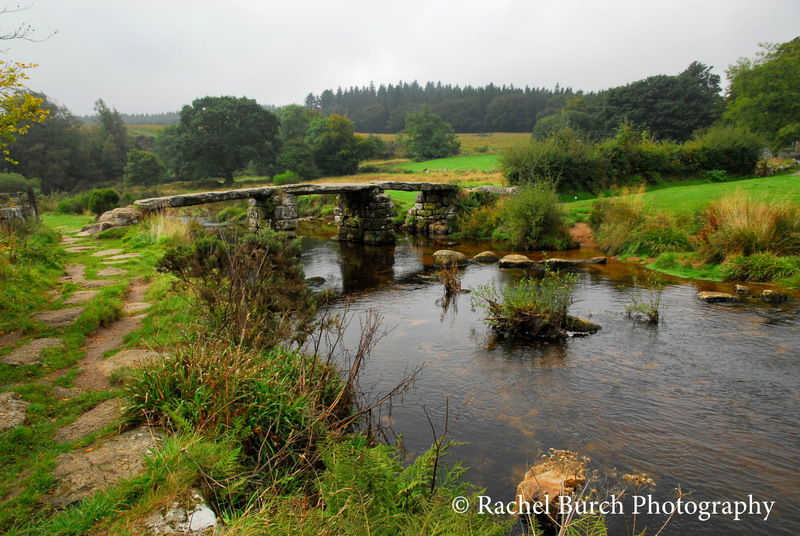 We managed to get a few photos of the old clapper bridge without people on it which is always a bonus. 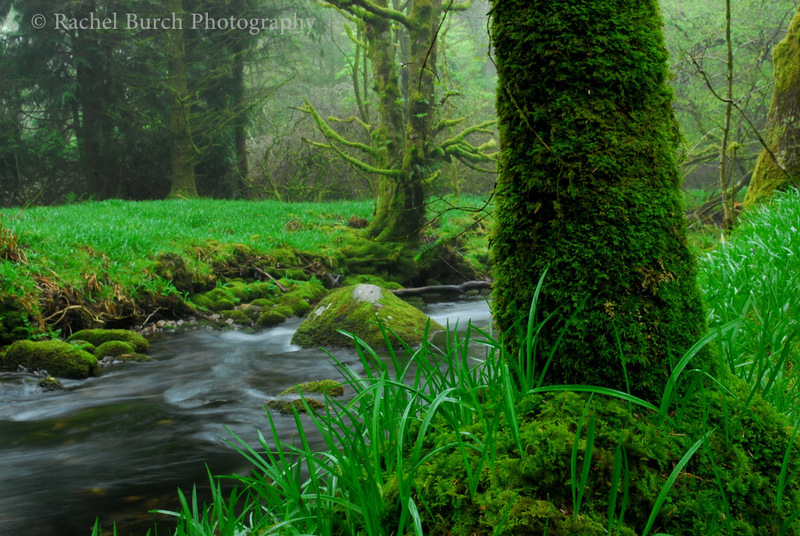 Misty conditions at the start of the shoot left us with ISOs of 200- 400 and wider apertures. 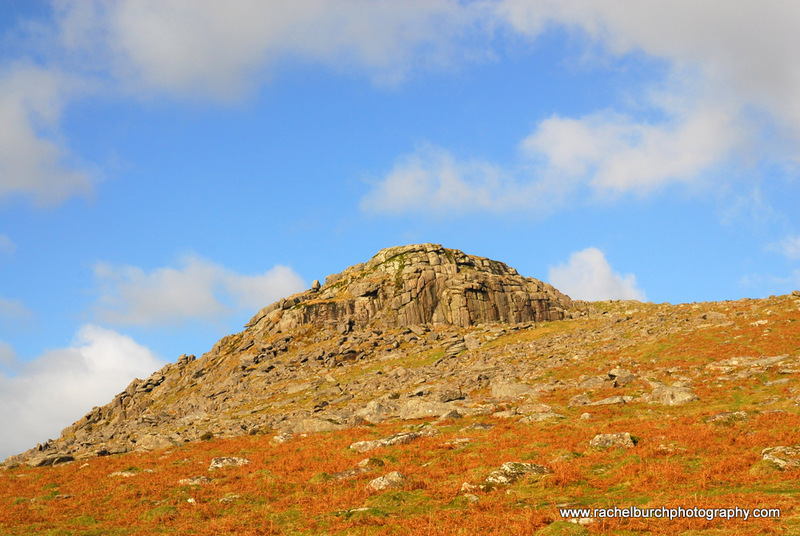 The colours of Autumn were coming through though and helped bring some strength to the muted palette of the Moor. 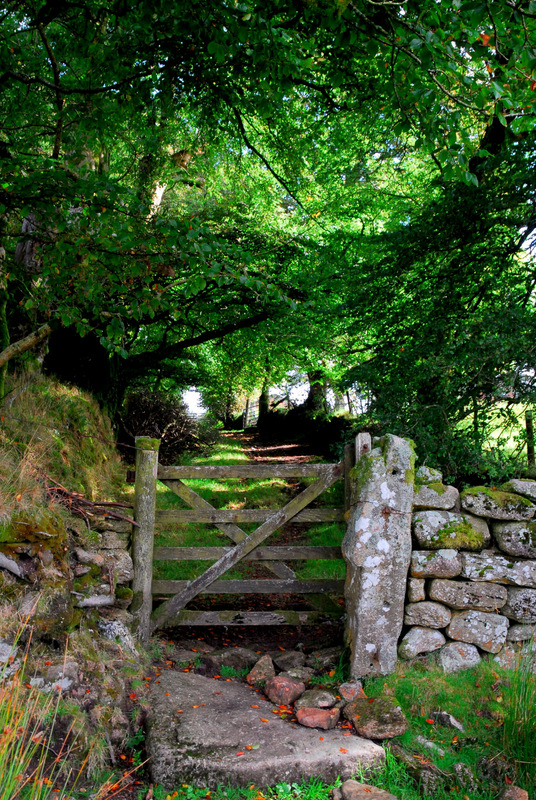 We took the footpath accessible over the newer bridge in Postbridge which leads around an array of dry stone walls, roots and at this time of year. 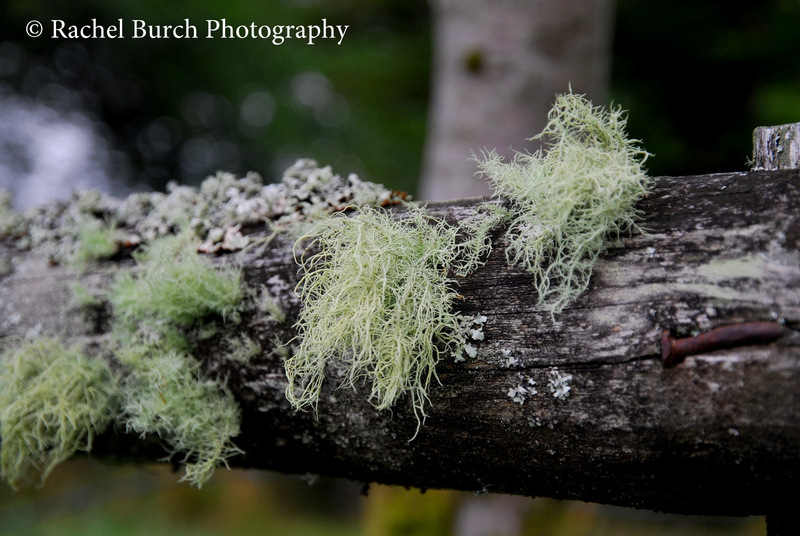 Lichen and berries. 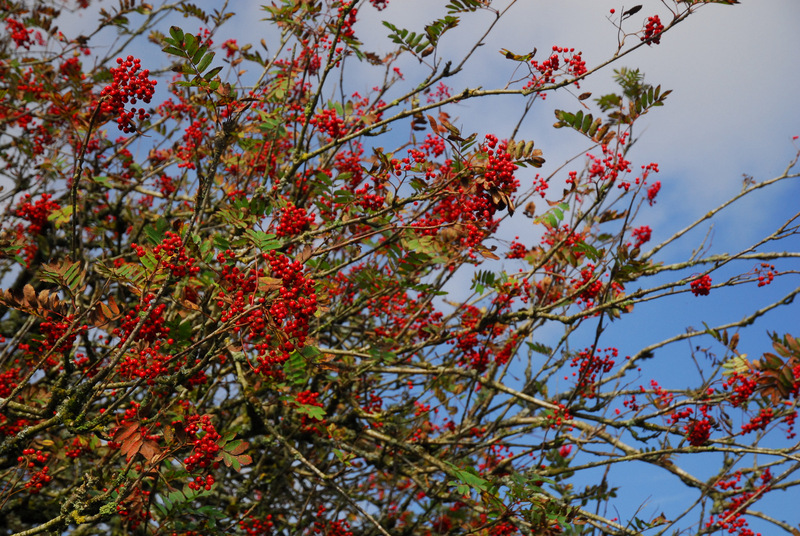 The sun emerged from behind the mist and allowed some stronger shots of berries against a blue sky. 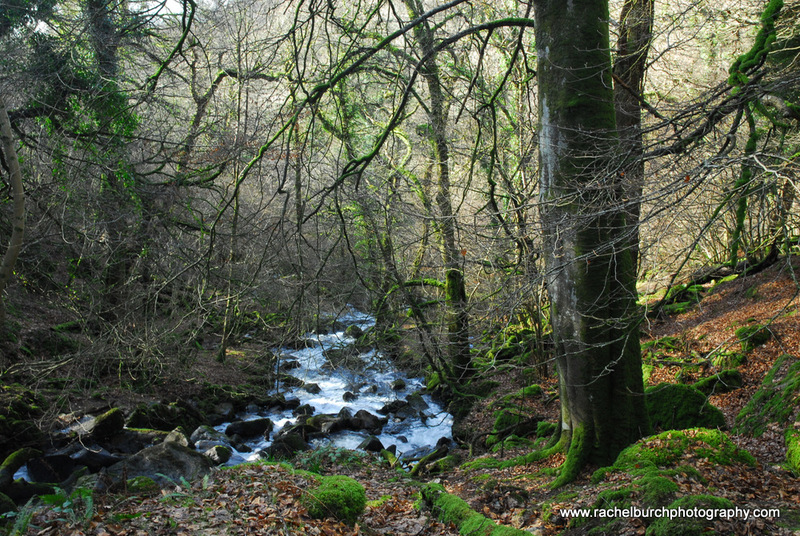 As we took our last shots kneeling in the willows by the Dart river dragonflies buzzed around the turning beech leaves. 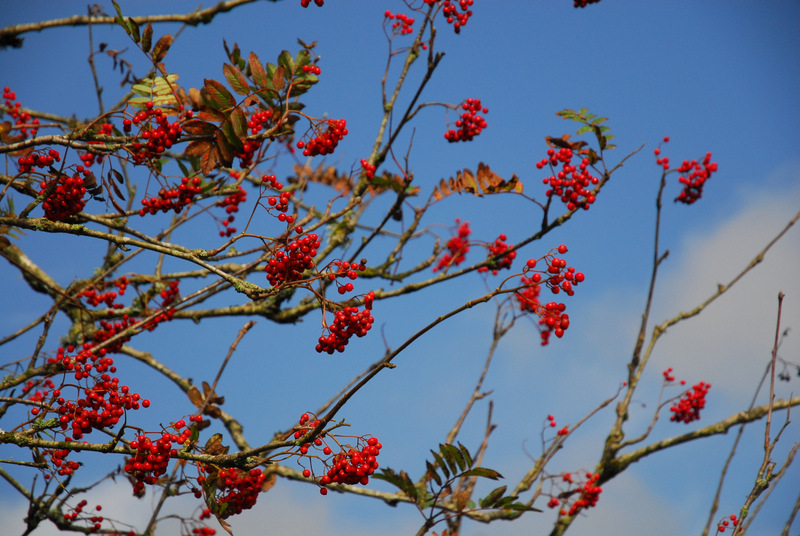 Summer moved into Autumn, with graceful abandon. 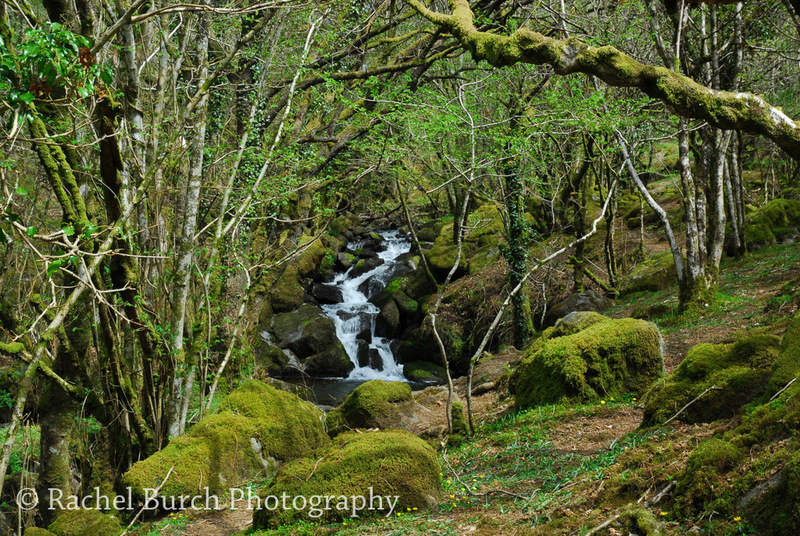 Spring waterfalls, woodlands and rain…..Devon in May. 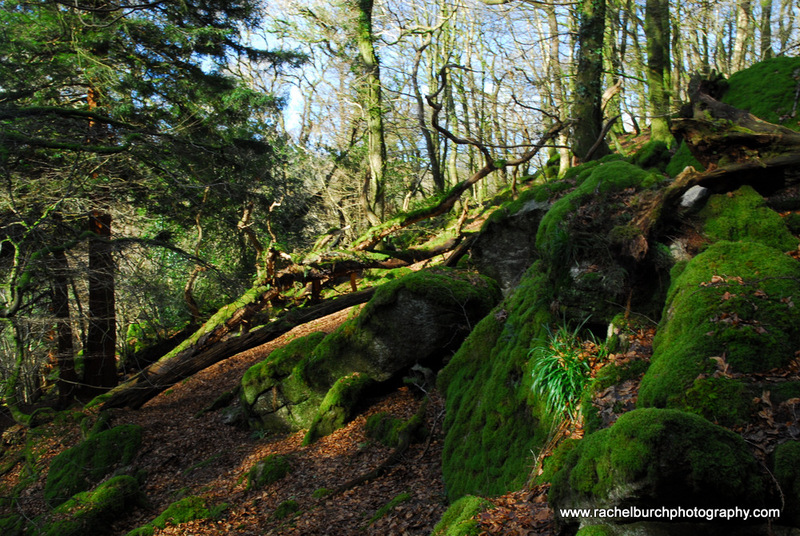 Spring has come late to Devon it seems, the bluebells have yet to spread the woods with their blue carpets, although yesterday I saw some unfurl in the woodlands near Meavy. 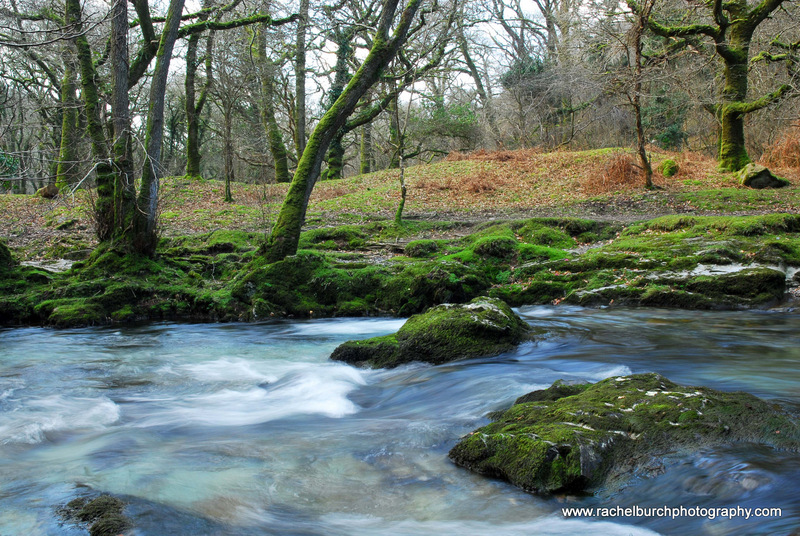 Last week in a rare moment of warm weather I made the hike up the hill from the village of Peter Tavy to Peter Tavy Coombe, a wooded area of hazels and blackthorns which is home to a fabulous waterfall and stream. 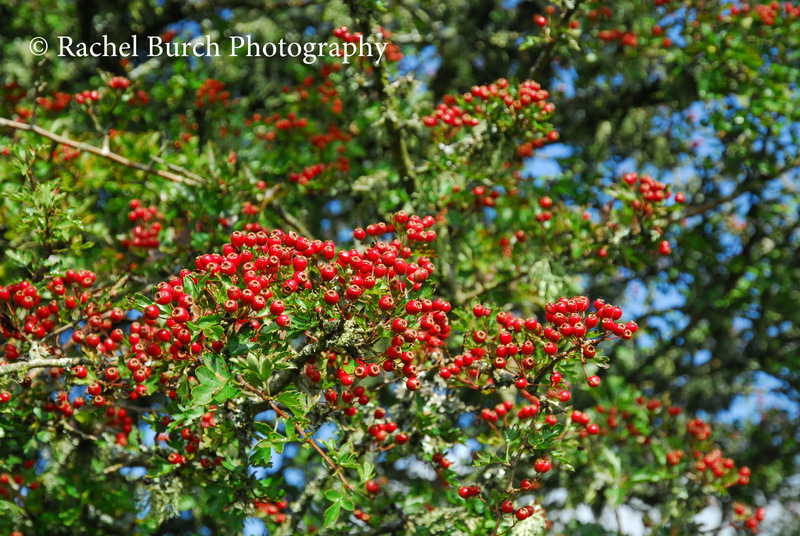 I was suprised how many of the thorn bushes are actually blackthorns (above) I presumed they were hawthorns. 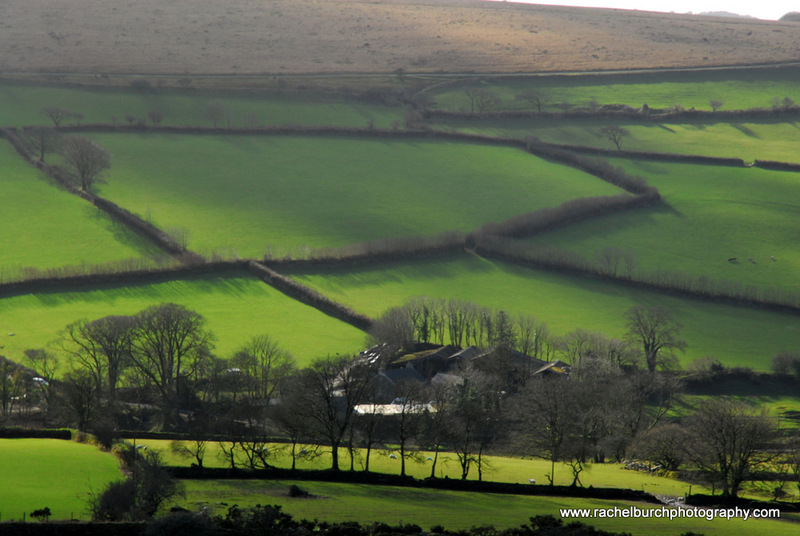 The hawthorns are in leaf here but not in flower yet. 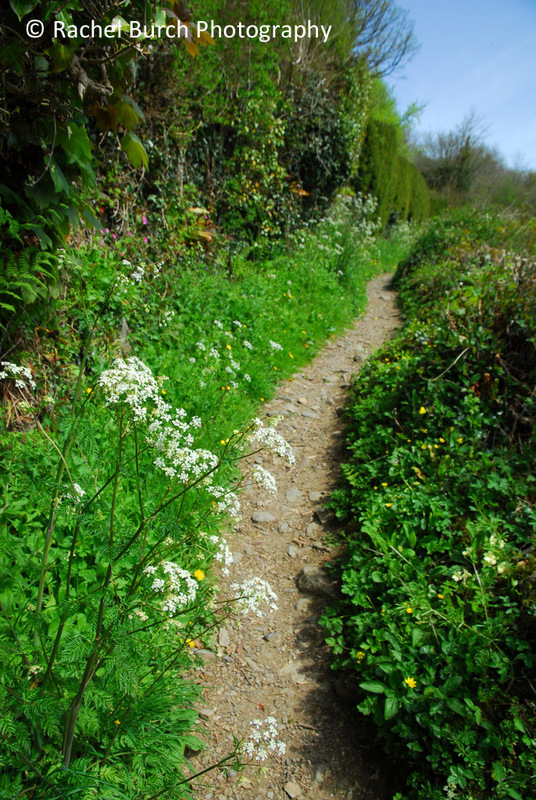 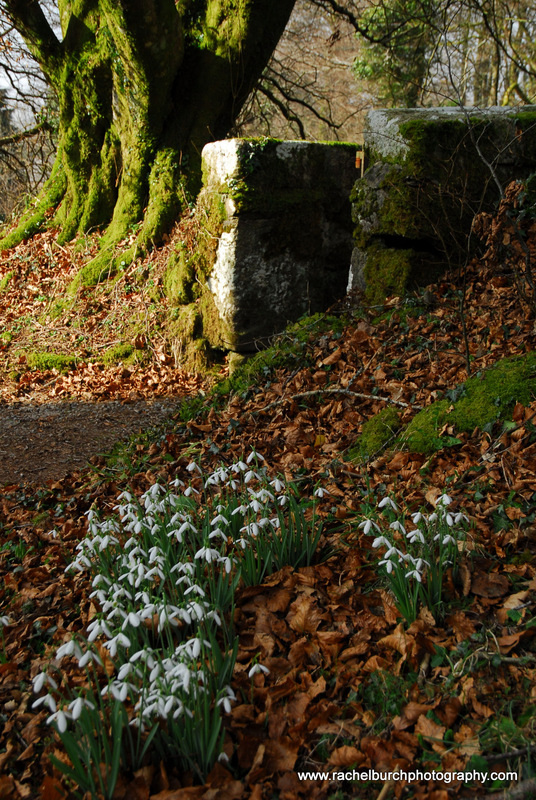 The path to the Coombe (above again), looked lovely with it’s unfurling undergrowth and scents of Spring. 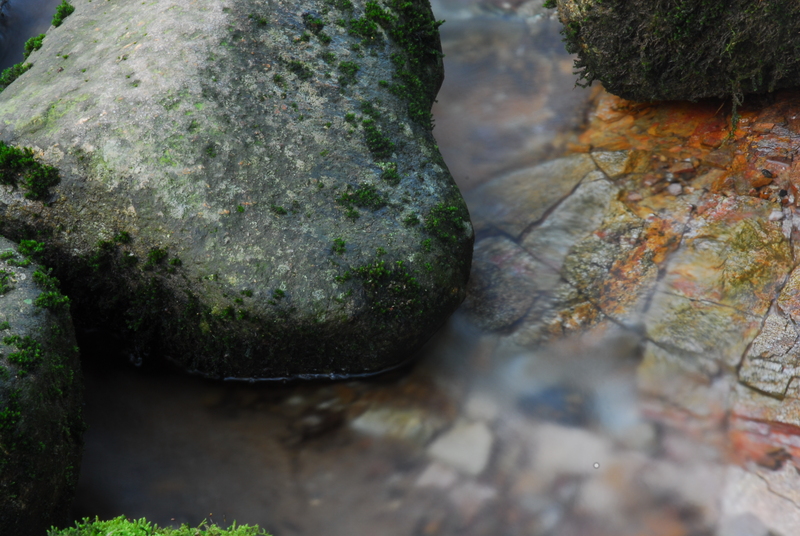 I walked up to the waterfall which looked lovely in the sun and set up the tripod to get some slower shutter speeds. 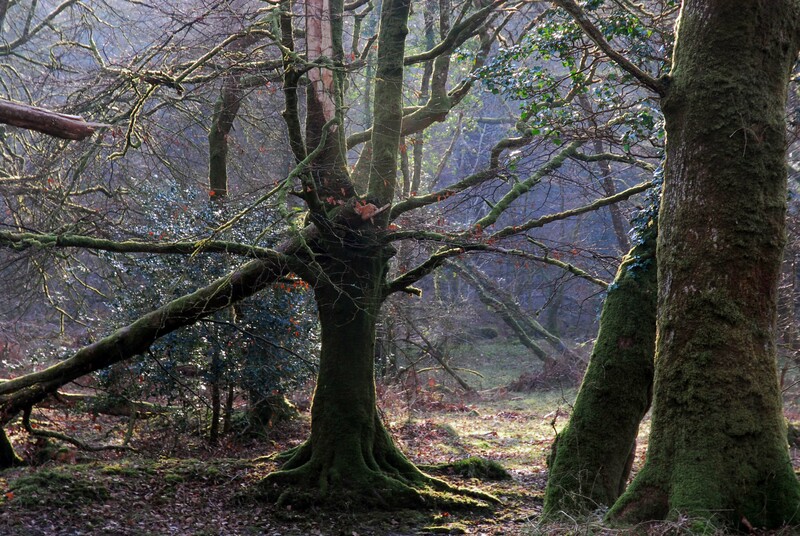 I love this place, it reminds me somehow of the western woodlands of Ireland, it has that feel of wildness to it. 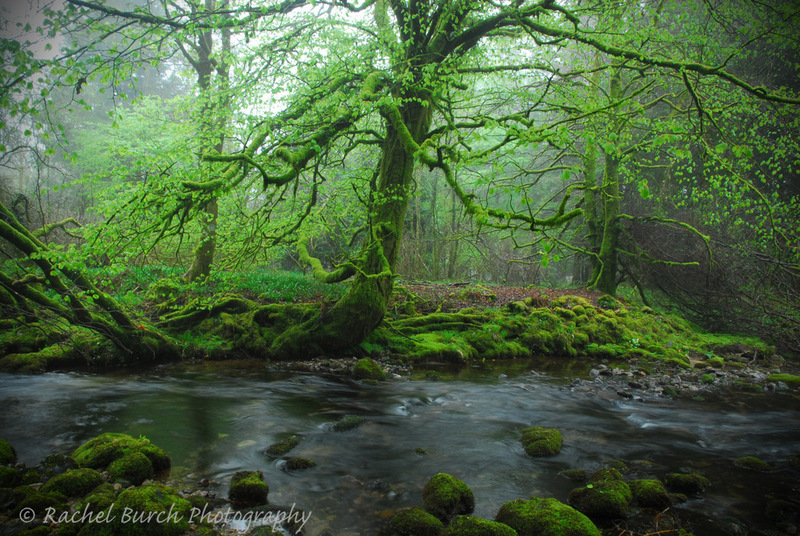 I got a few nice shots that day …..
at Burator reservoir, despite the rain we donned our waterproofs and explored the misty Dartmoor woodlands. 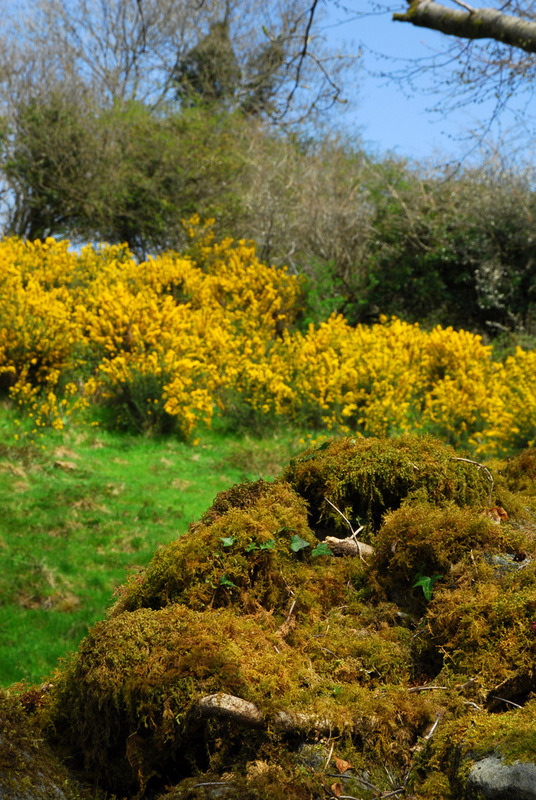 The rain ceased and left a mist that made for some nice shots of the Spring foliage (see above). 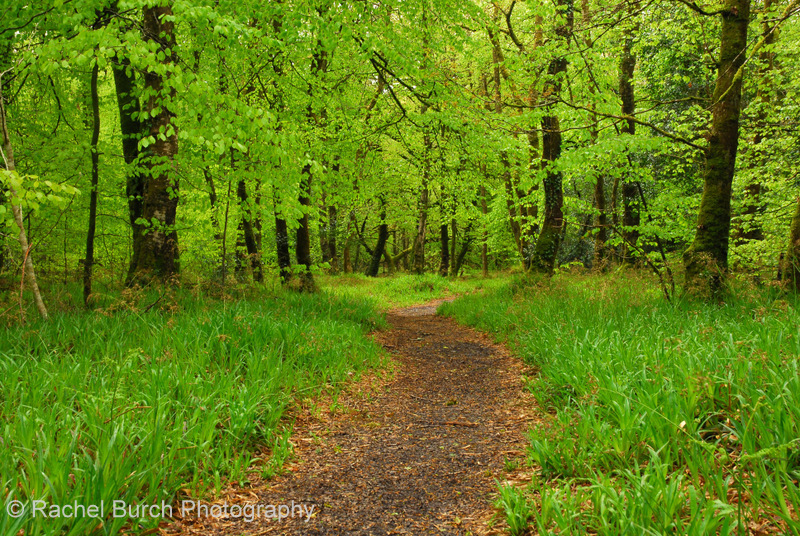 This piece of woodland was carpeted with bluebell leaves so I plan to go back in a few days and capture them. 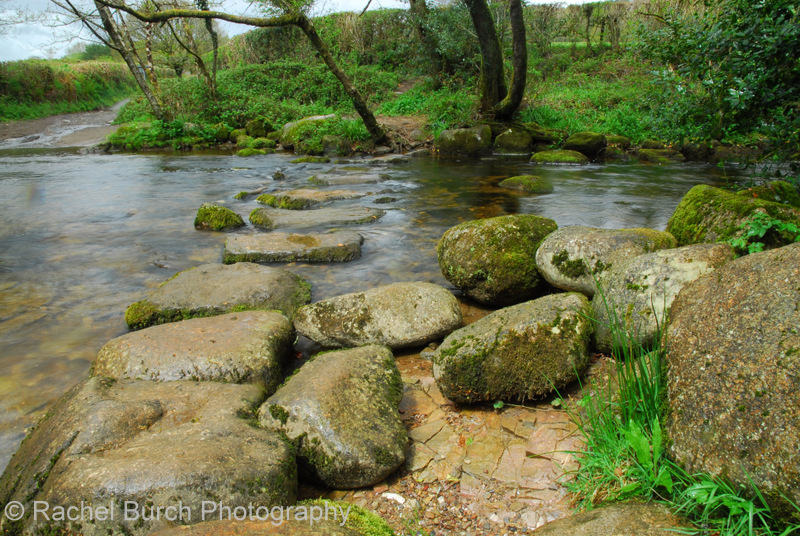 Finally I paid a quick visit to a lovely spot near Meavy, where the Meavy Brook has stepping stones over it in a pretty clearing. 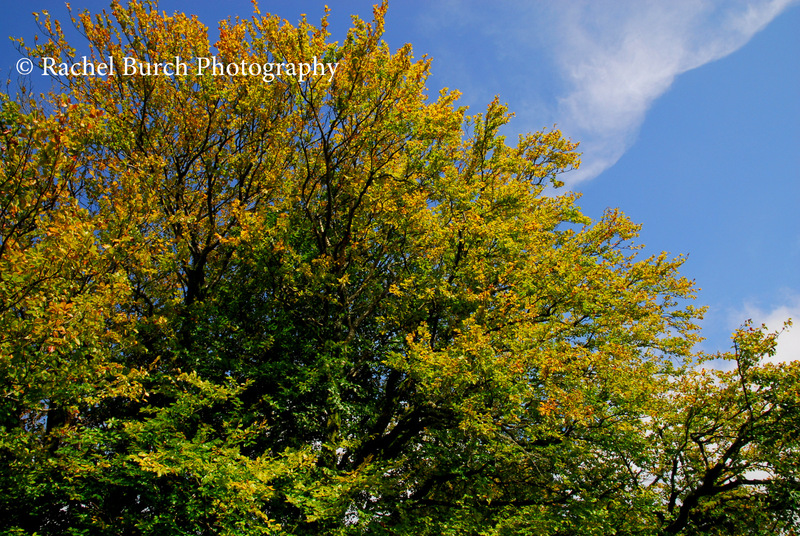 I managed to capture the lovely green of the beech leaves as they unfurled in a nearby woodland. 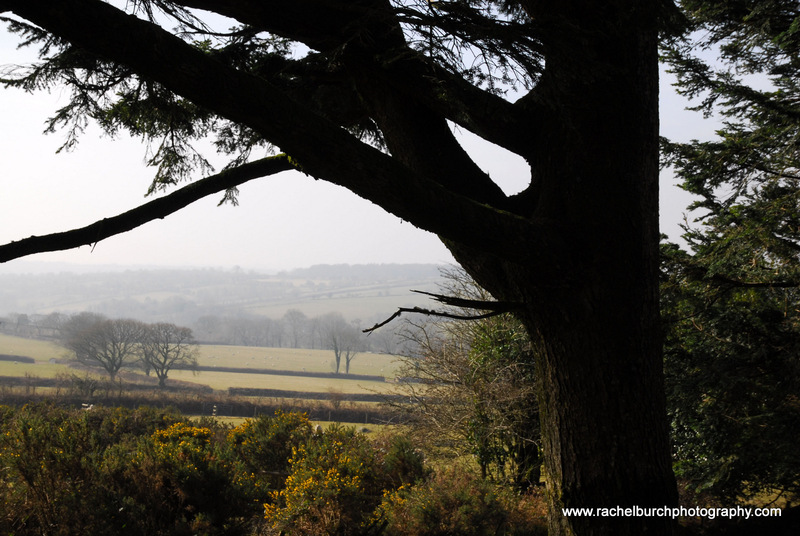 Inspired by the hazy sunshine I headed out with my camera on Monday to capture some of it’s ambience. 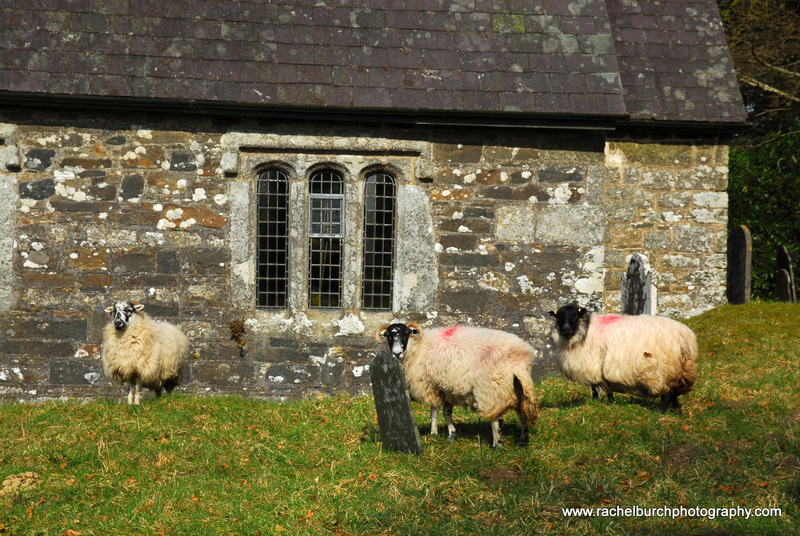 At first I tried up on the Moor but the light really was too hazy so I drove back down the hill to Sampford Spiney and walked around the picturesque churchyard and lanes there. 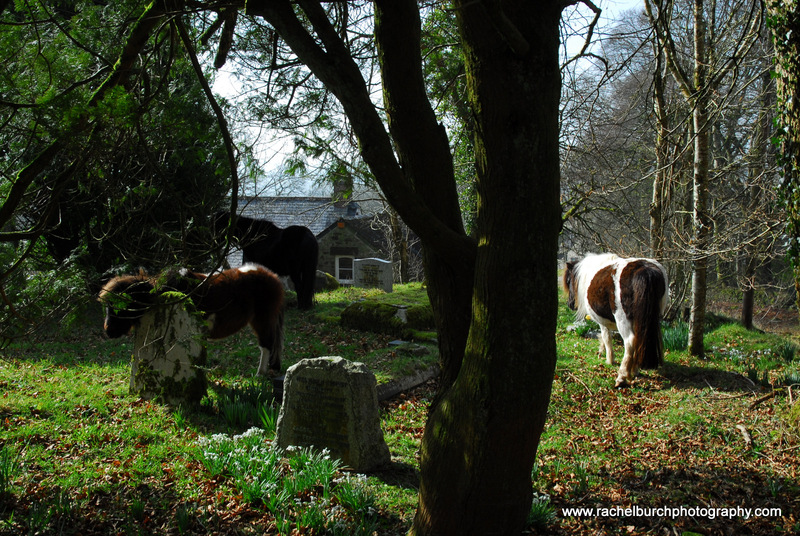 This lovely place really did look lovely with livestock, sheep and ponies left to eat down the grass presumably to make way for the Spring flowers. 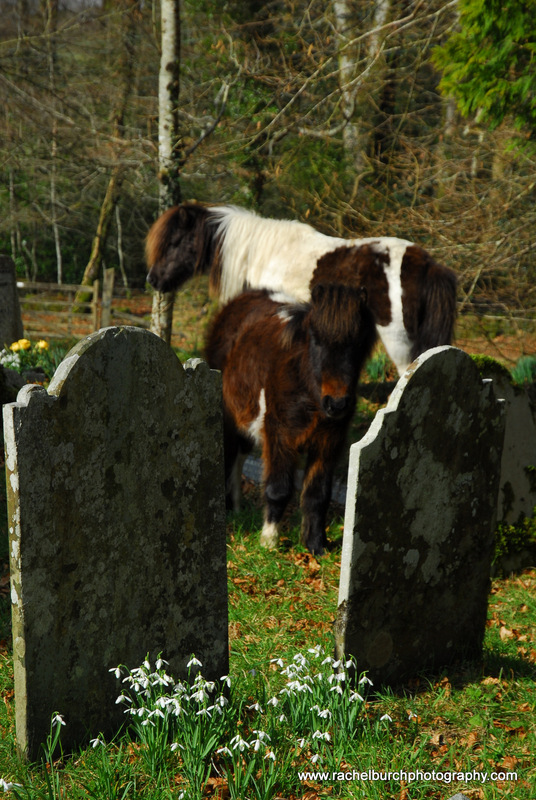 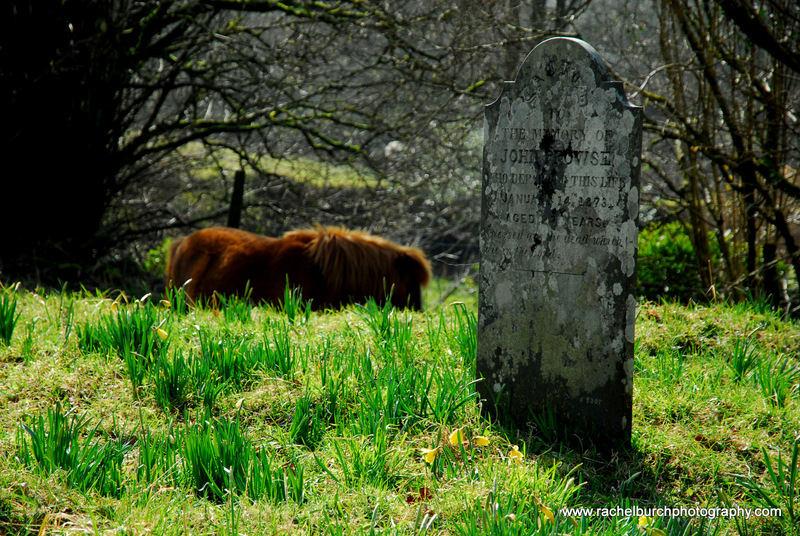 The ponies did look odd amongst the headstones but they seemed to fit in well enough ! 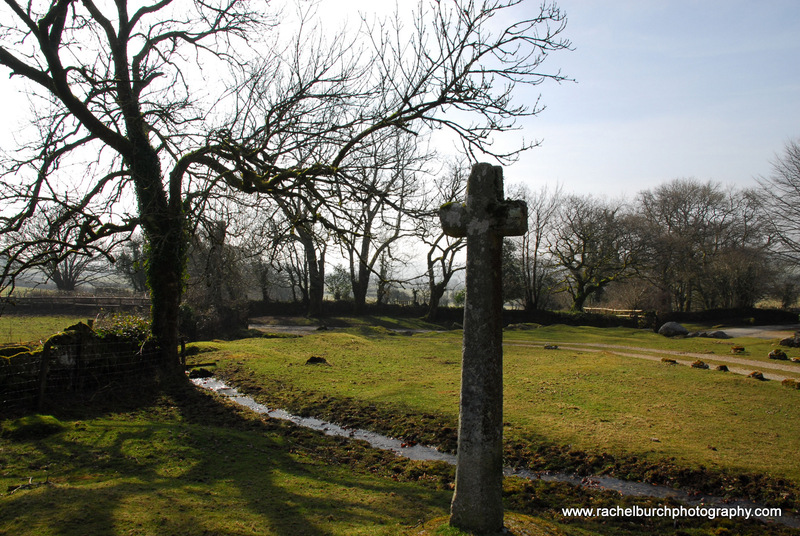 I walked out of the churchyard to the back of the village and photographed the old cross behind the ex charity school building. 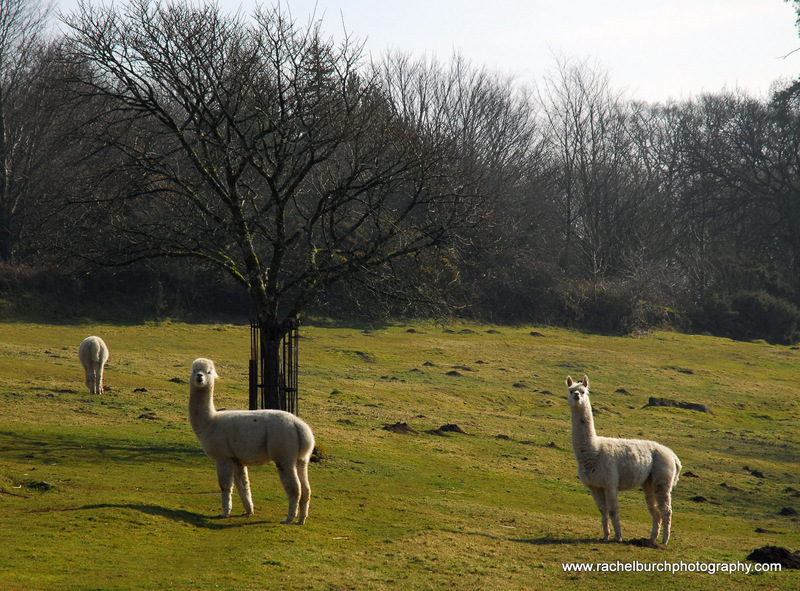 The Sampford Spiney alpacas were grazing in the field another incongruous site but pretty all the same. 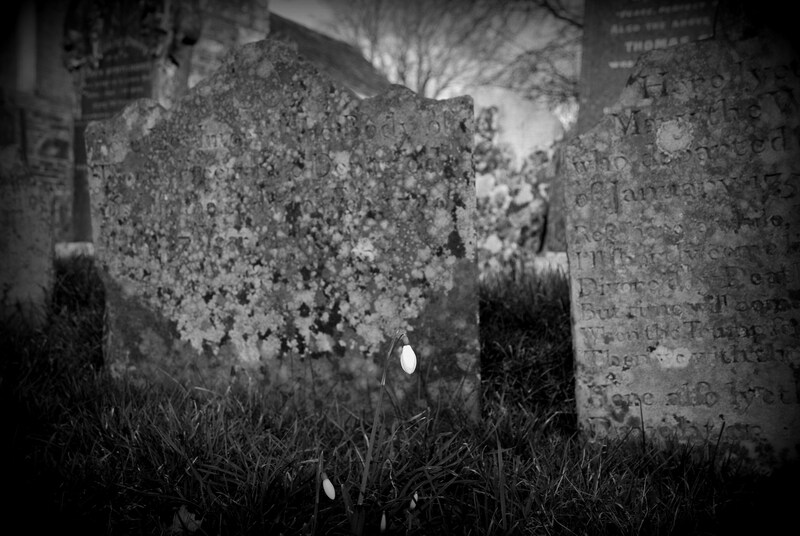 In terms of photographic technique I hand held the camera all around and shot with a variety of f stops , 5.6 – f11 and an ISO of 200. 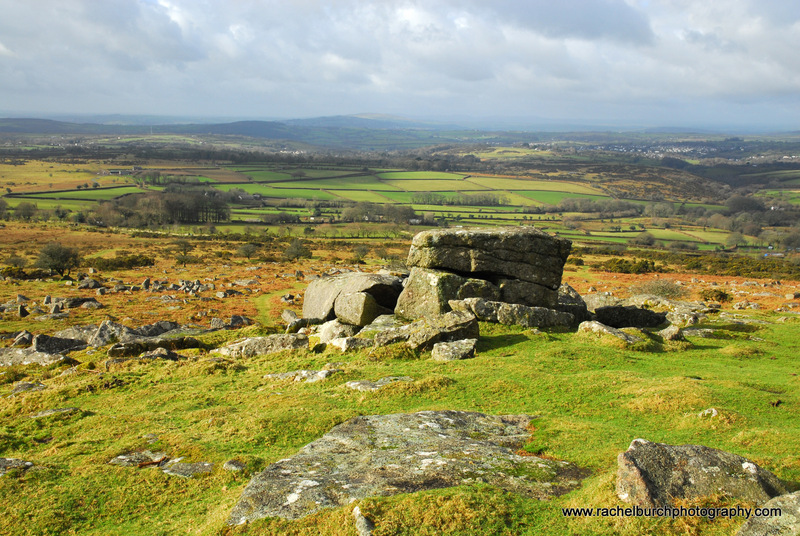 The soft light of the sun was more effective in executing closer work than sweeping landscapes out on the open Moor. 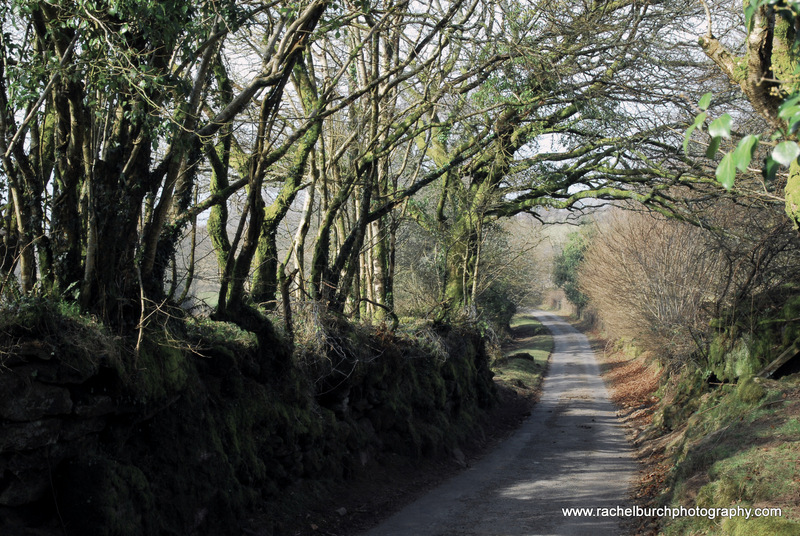 And sometimes a simple one track Devon lane can be the most effective composition ! 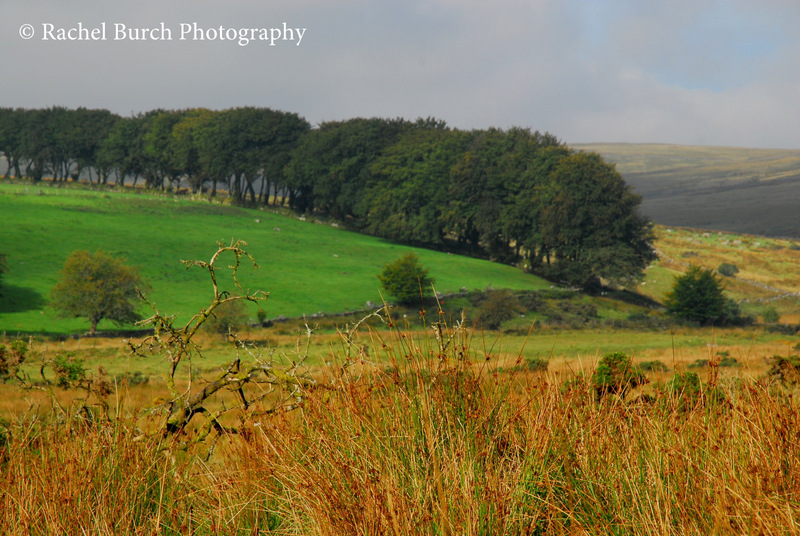 I decided to go and out with my camera and photograph the Walkham Valley yesterday, not far from my home. 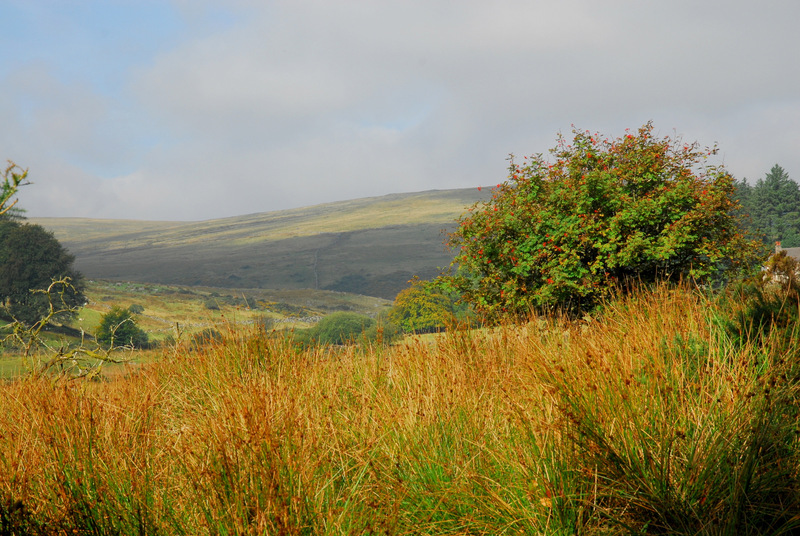 This valley is home to the Walkham river and was the site of mining for copper in the nineteenth century. 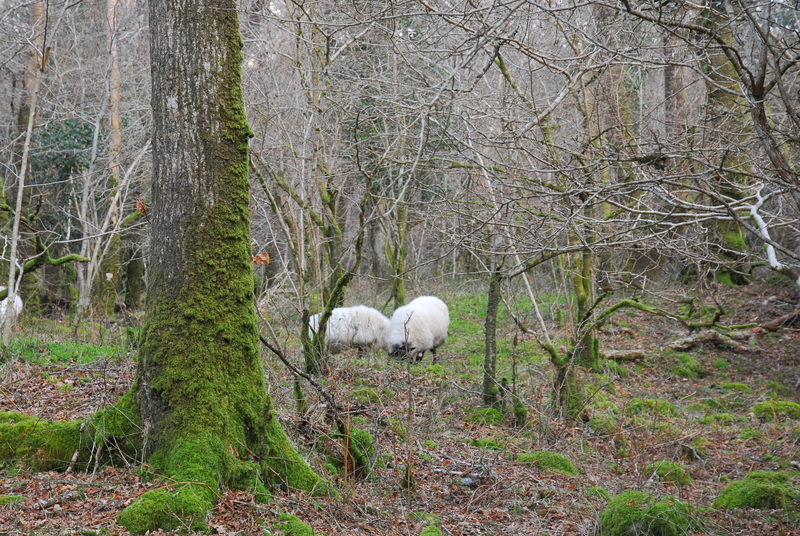 Its a haven for wildlife, livestock, and dog walkers now. 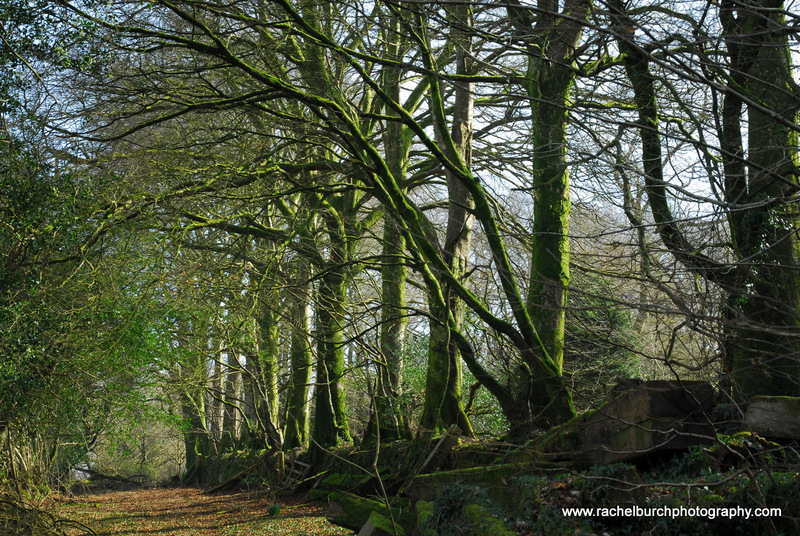 The light was so nice through the mature beech and hazels and I got a few shots of the backlit woodland. 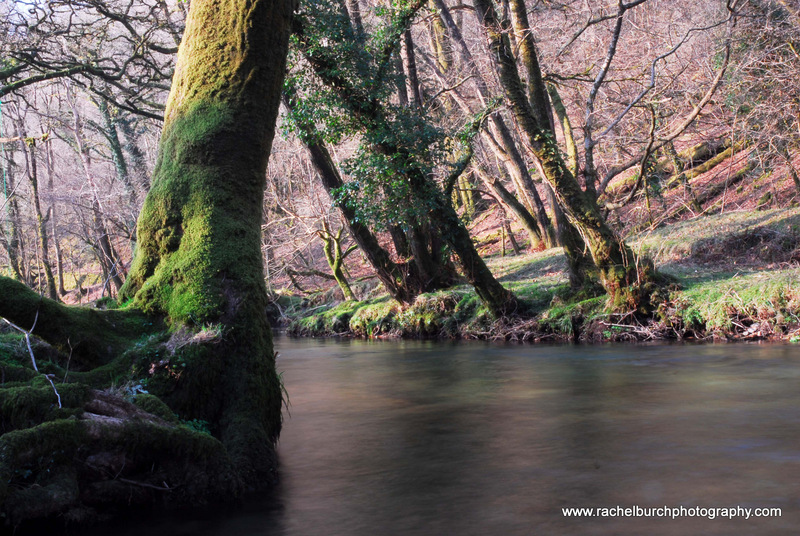 The beeches overhanging the river can make for interesting shots so I set the tripod to get a low shot of the river in the early Spring sun. 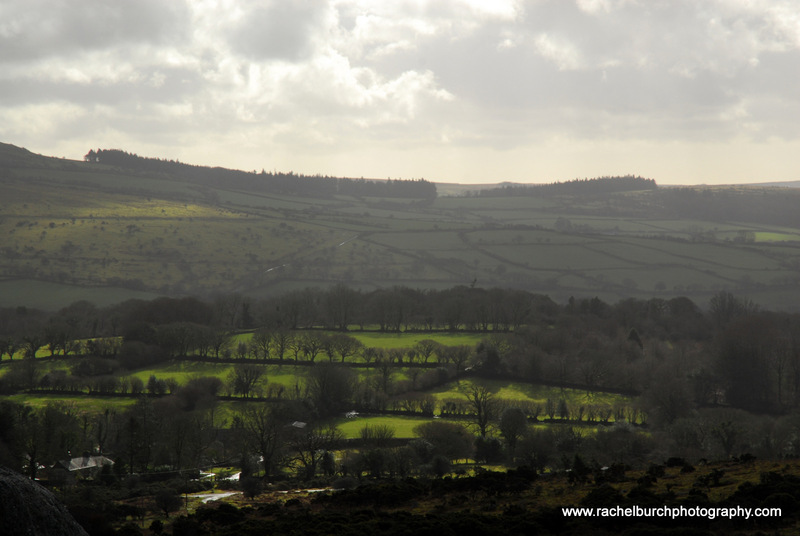 The sun was going in and out a bit by this point. 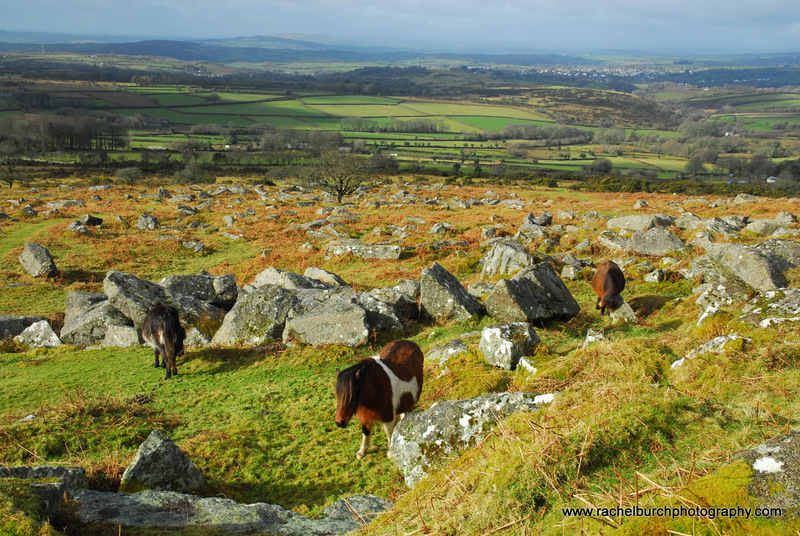 So in the end the best shots I got I feel were some slower shutter speed shots, that I was able to get with a more overcast sky. 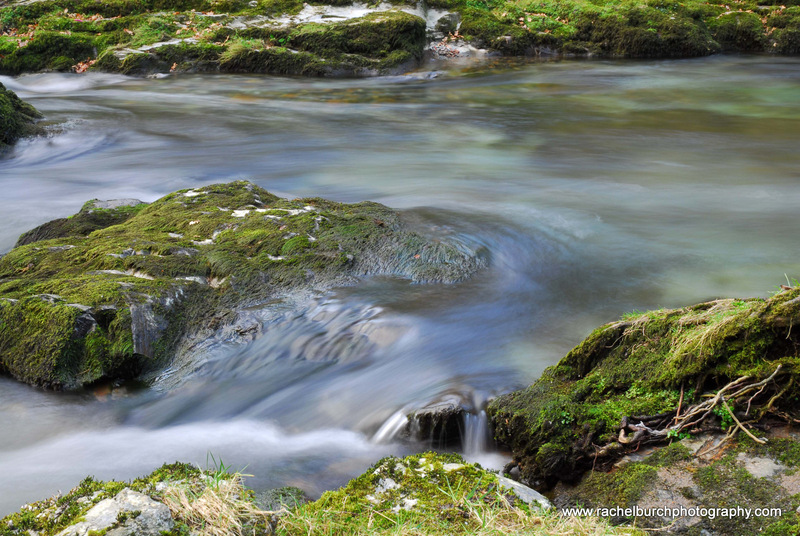 I varied the ISO speed between 100 for the water shots and 400 for the wider hand held tree shots. 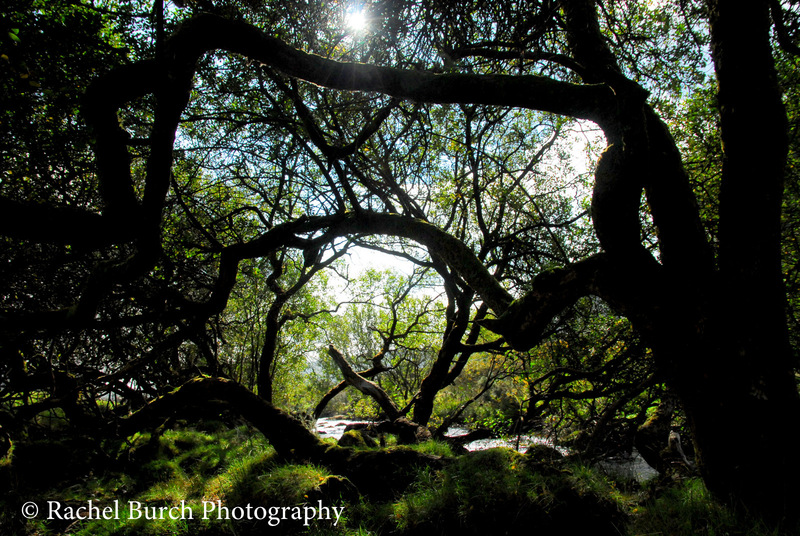 It’s amazing when the sun goes in how different the settings that you need can be. 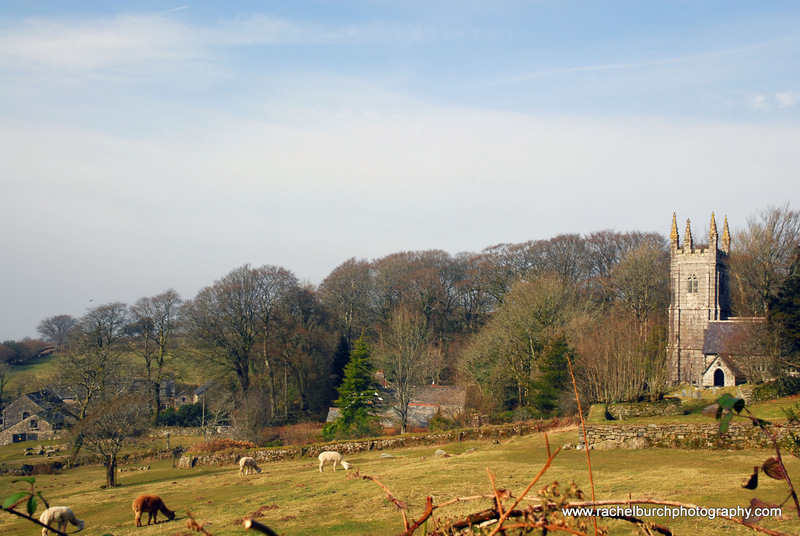 I walked back to the car at 11am before the Sunday walkers through some moorland sheep that had gathered in the trees, a surreal site ins some ways I have seen moorland ponies here too the open moor is a short walk away. 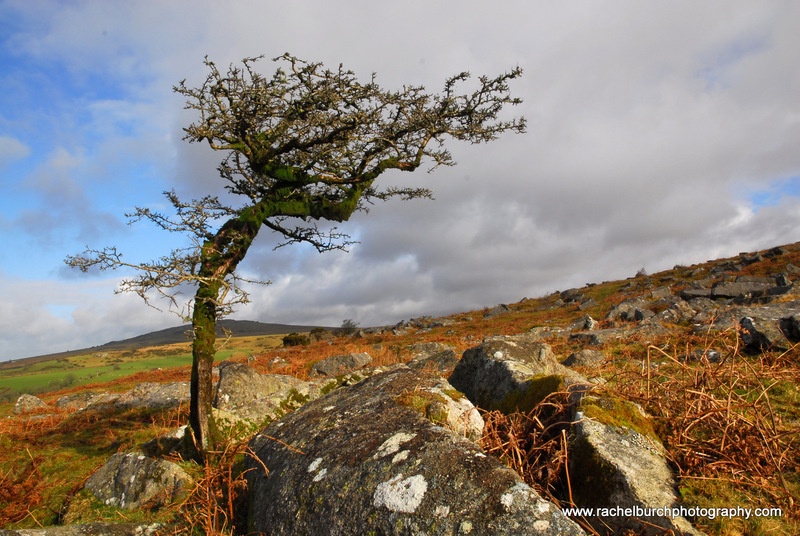 Tors, trees, and windswept photographers. 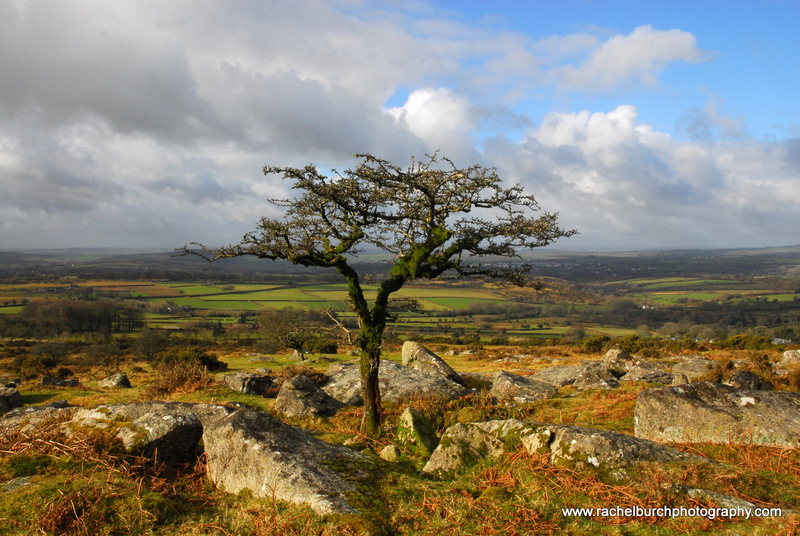 I was determined to get out with my camera on the brief blustery sunny day here in Devon yesterday and decided to go for Pew Tor a great location with lots of windswept trees to capture. 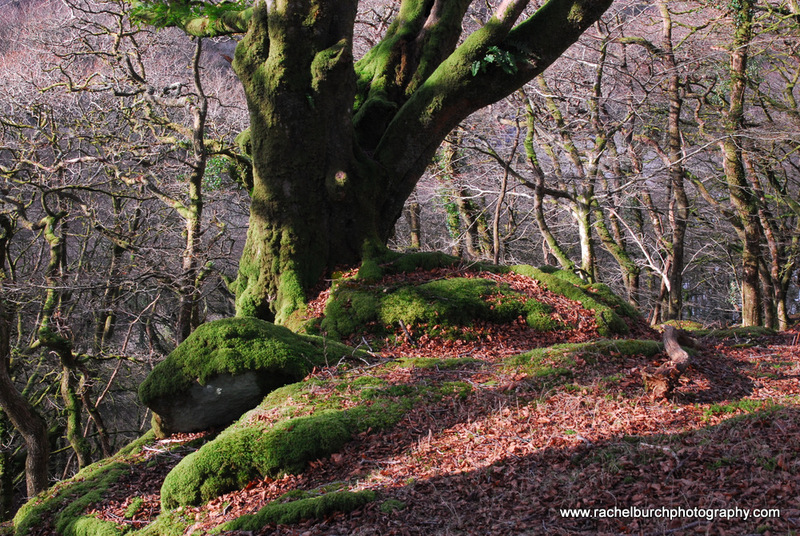 The light at this time of the year can be great and the turned bracken and mid distance made a wonderful combination. 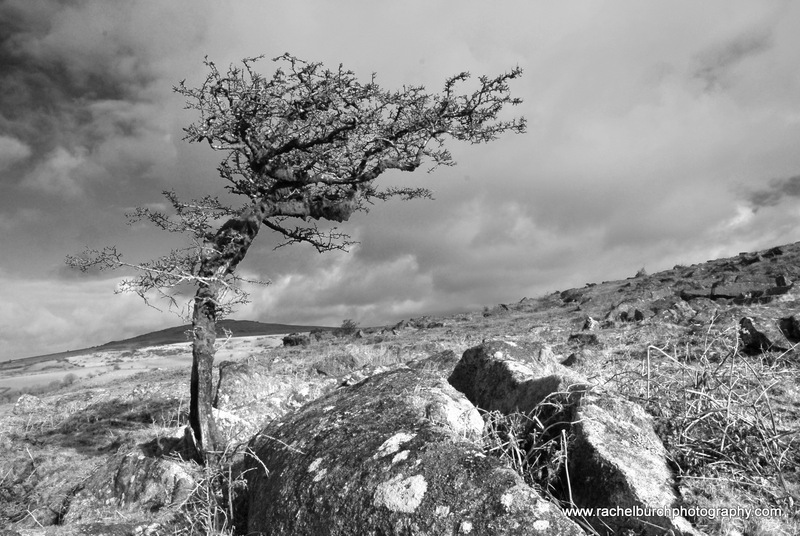 The colour shots of the trees also convert well into black and white and the moody subject matter works well. 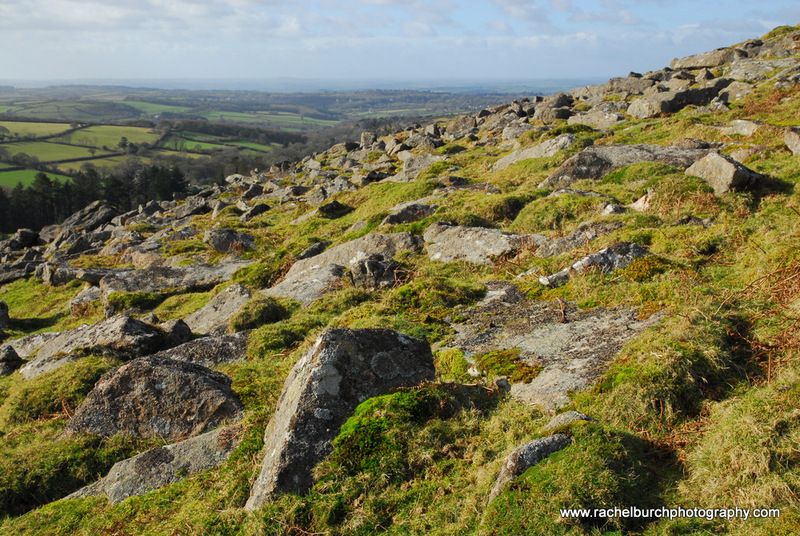 I climbed to the top of the tor and got a couple of shots looking down and across to Cornwall. 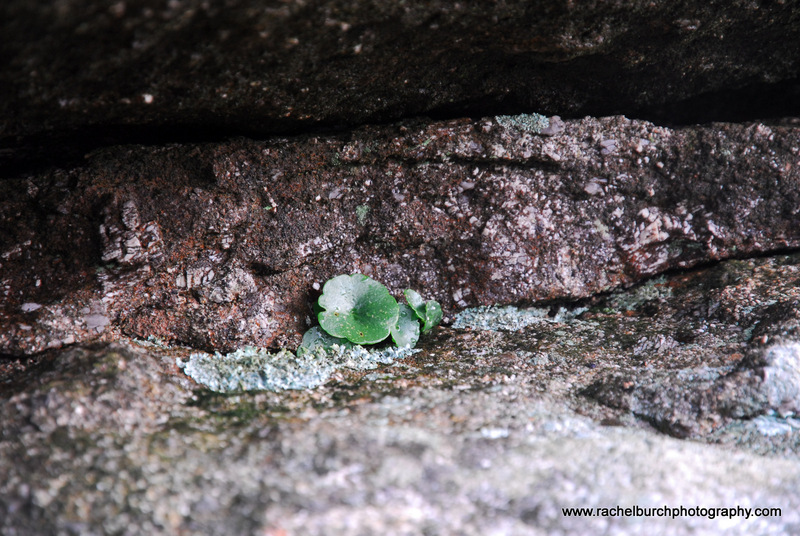 I also caught this pennywort growing on sheer rock, proving that even a tiny life form can survive out on the Moor. 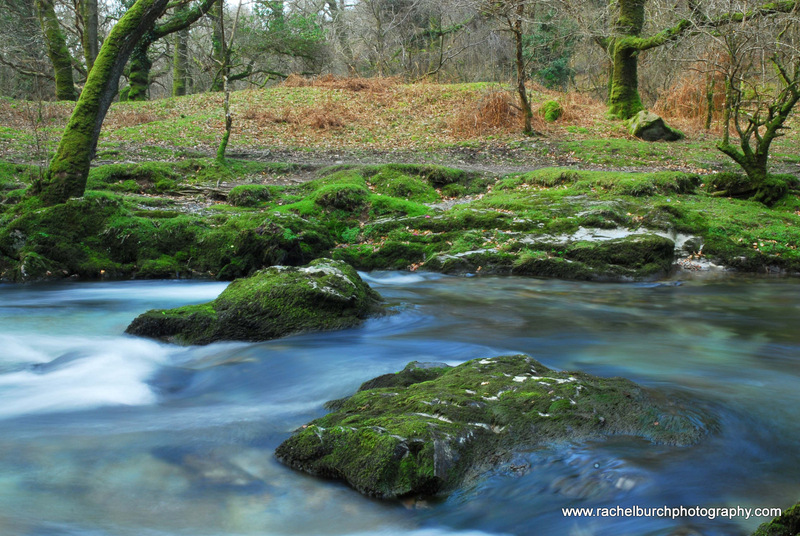 Yesterday was the first time in a long while that I have managed to do a shoot involving more than one location, the winter sunshine tempted me out with my camera bag and tripod. 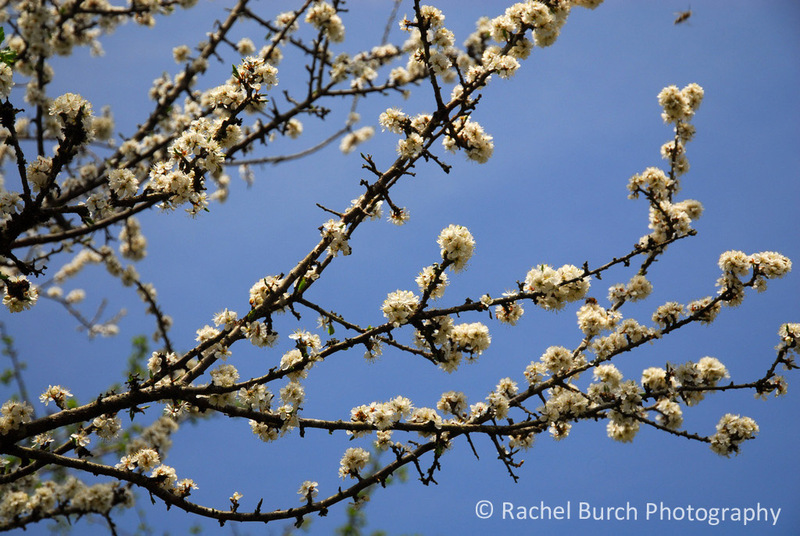 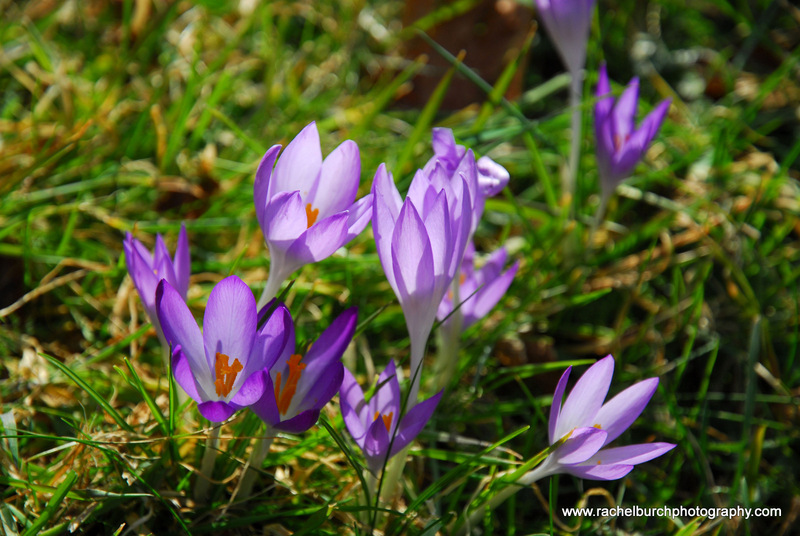 It was very windy but I was weighed down by my photographic equipment. 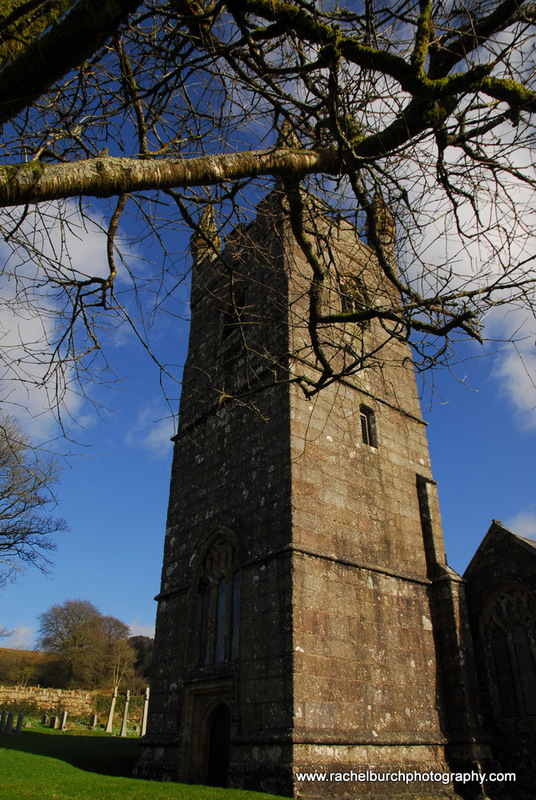 I drove to the village of Sheepstor on the south west slopes of Dartmoor I had originally planned just to explore the church more and the holy well but there was no parking in the village so I drove up to the massive tor itself and decided to walk up to it and get some images. 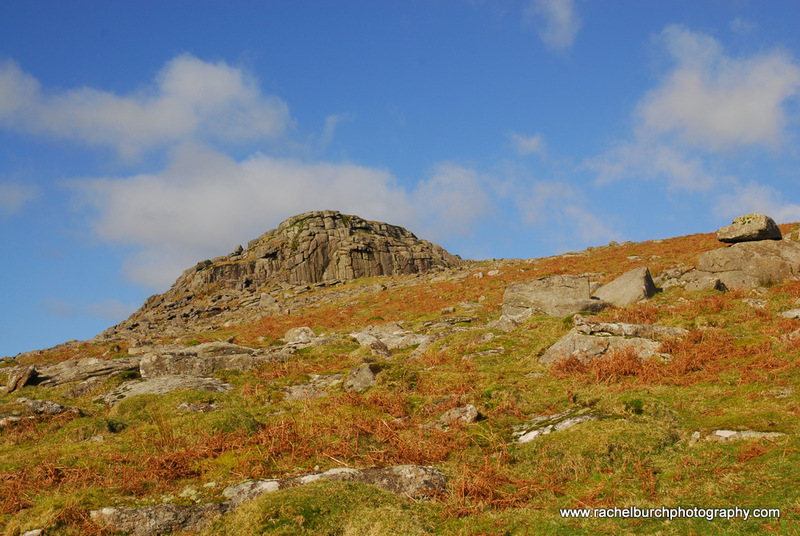 The huge tor shielded me from the excesses of the wind, as I headed back to the car. 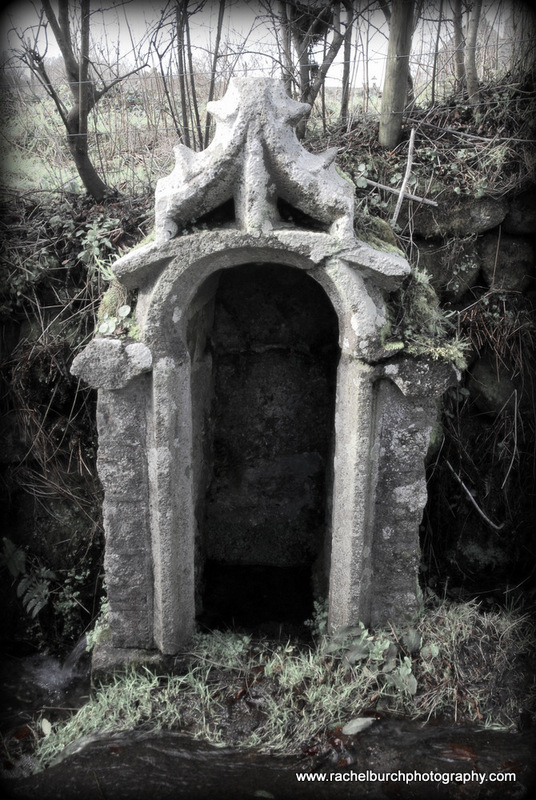 I managed to park at the side of the narrow lane and jumped out to photograph the beautiful well and church in the village. 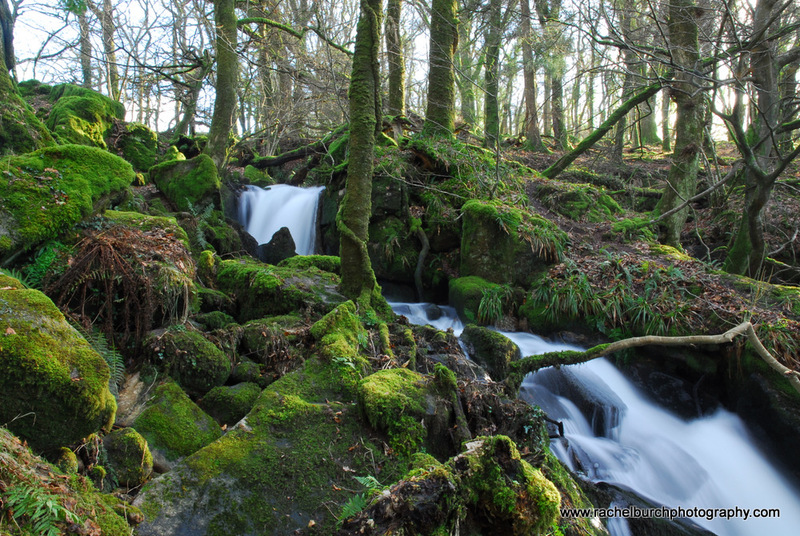 I then drove back past where I knew there was a lovely waterfall that the river Meavy makes when it tumbles down a steep slope in the Burrator reservoir woods. 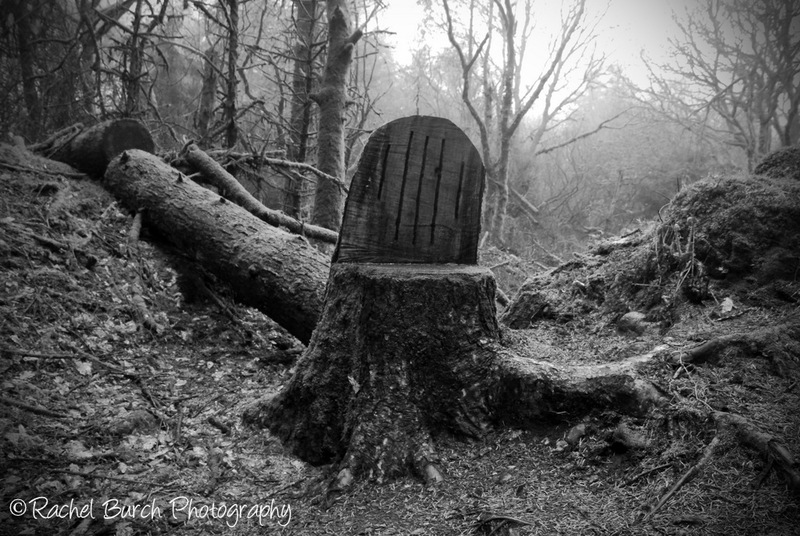 So I headed into the woods with my tripod and back pack. 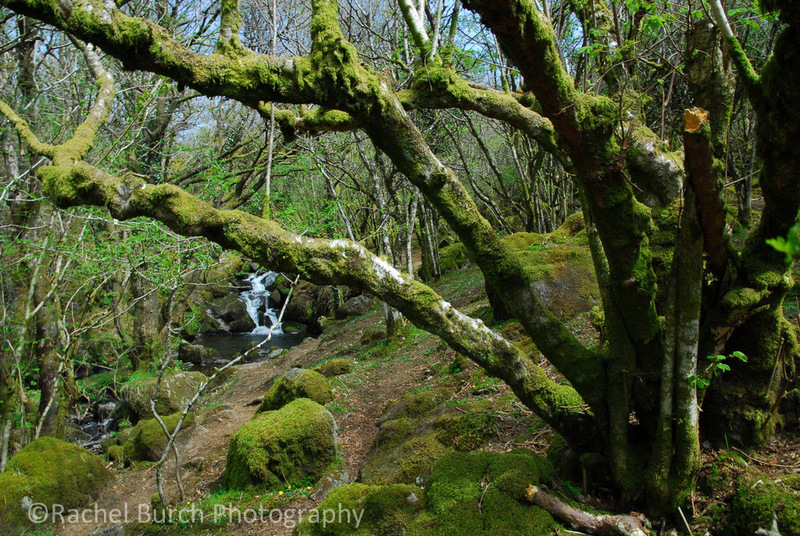 This waterfall is always difficult to capture but I scrambled over the mossy rocks dutifully. 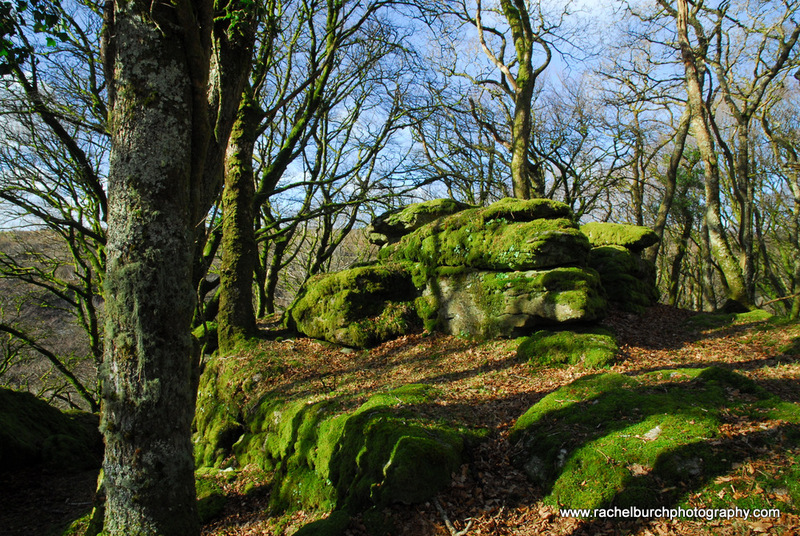 As always the best shots were the unexpected ones I captured of the tors or rocks in the woods on the way back. 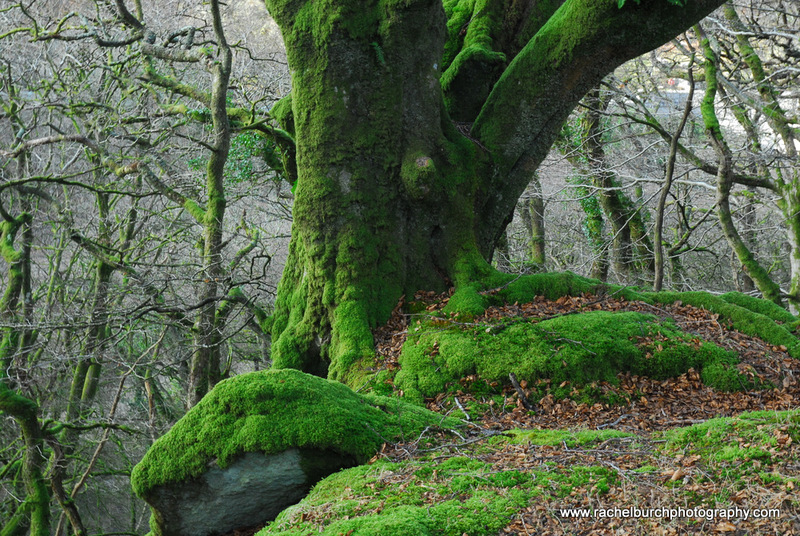 When I got home and looked at the images I was pleased to see that I has indeed got a few that were usable ! 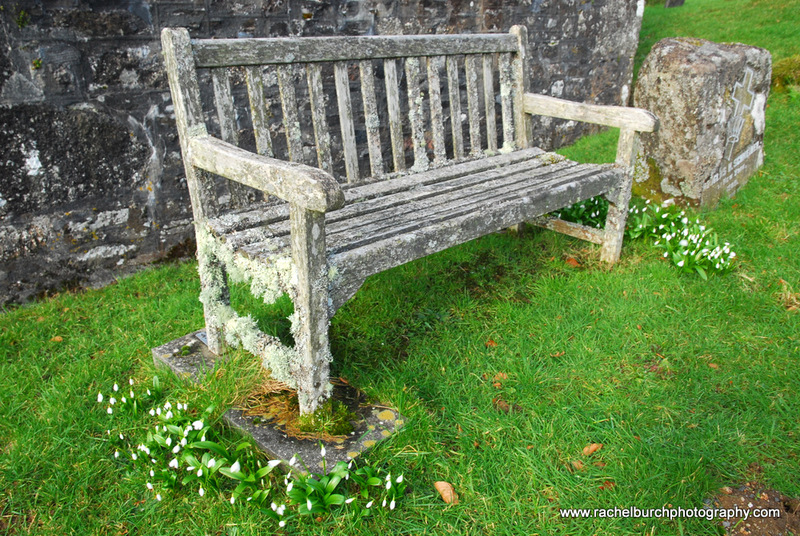 I had remembered that there were bench ends at Meavy church a couple of years ago and had meant to go back to capture them on a winters day such as the one we had last Sunday here in Devon. 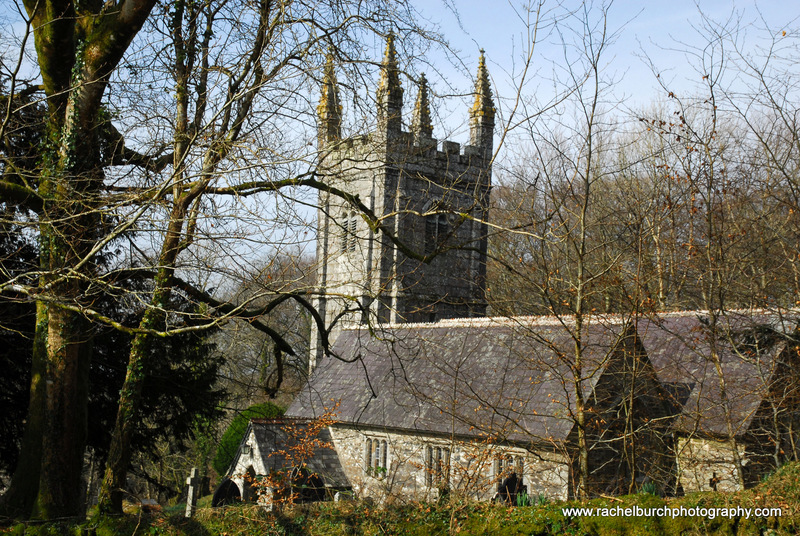 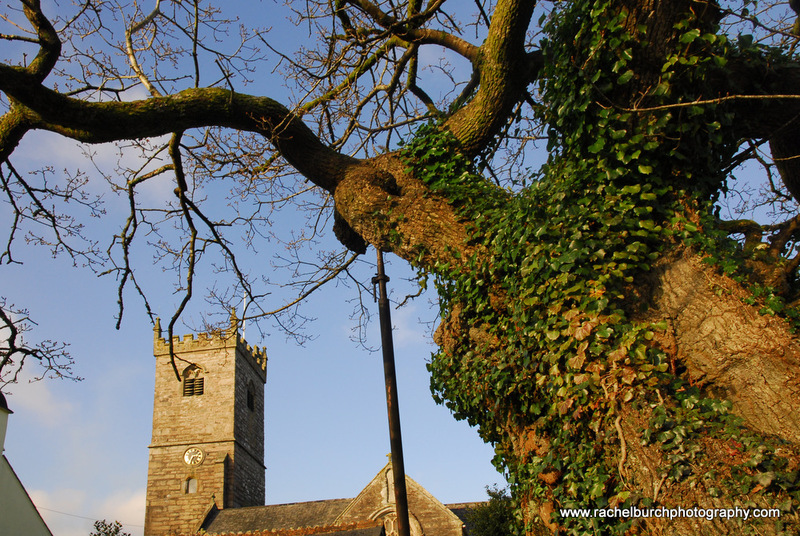 The village of Meavy is dominated by the ancient oak that stands in centre and is reputed to be older than the 12th century church itself. 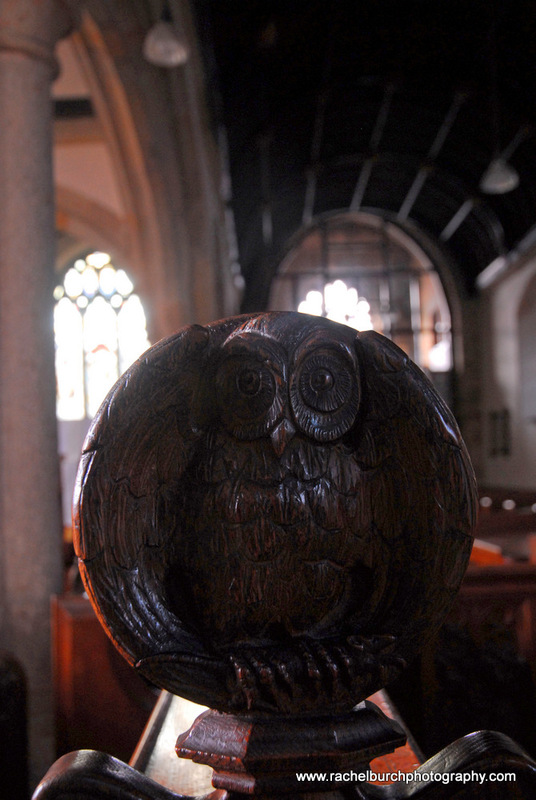 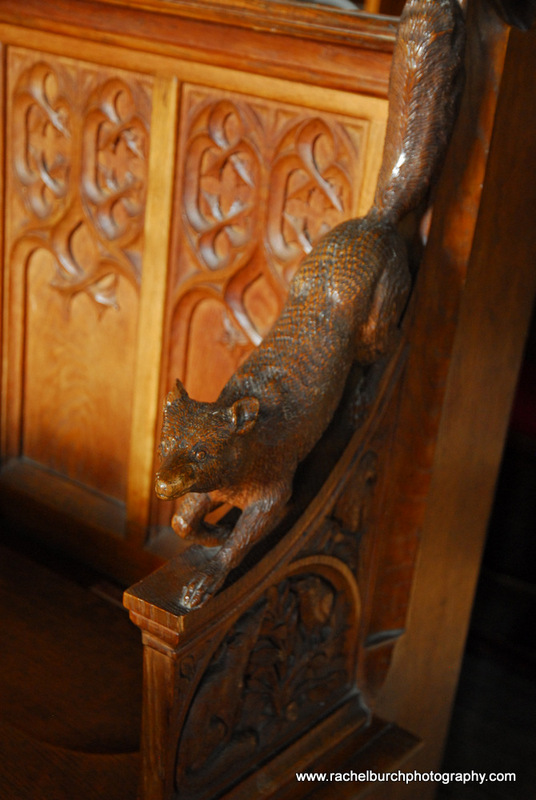 I went inside the church and with the help of a tripod took most of the bench ends with natural light. 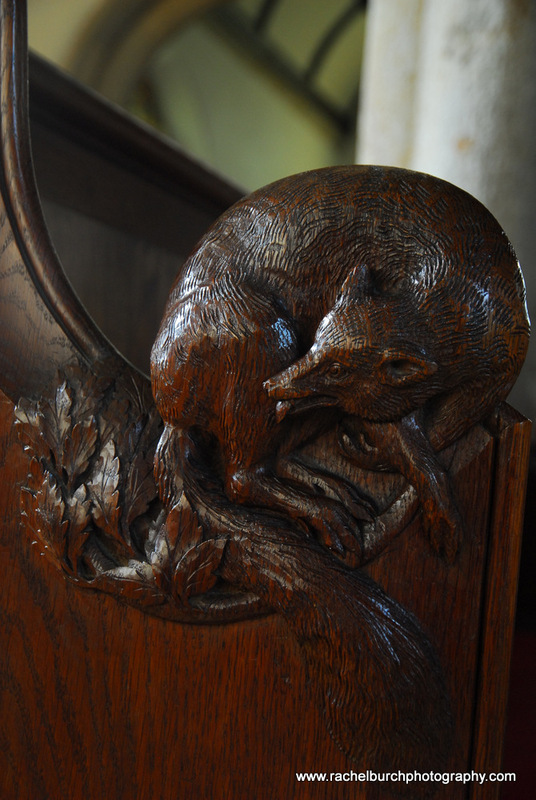 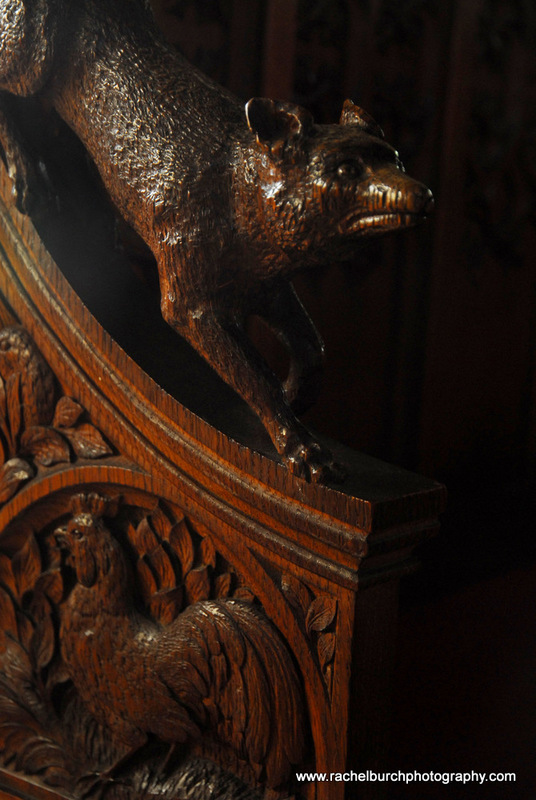 The bench ends are Victorian in origin and were carved in 1892 with much skill. 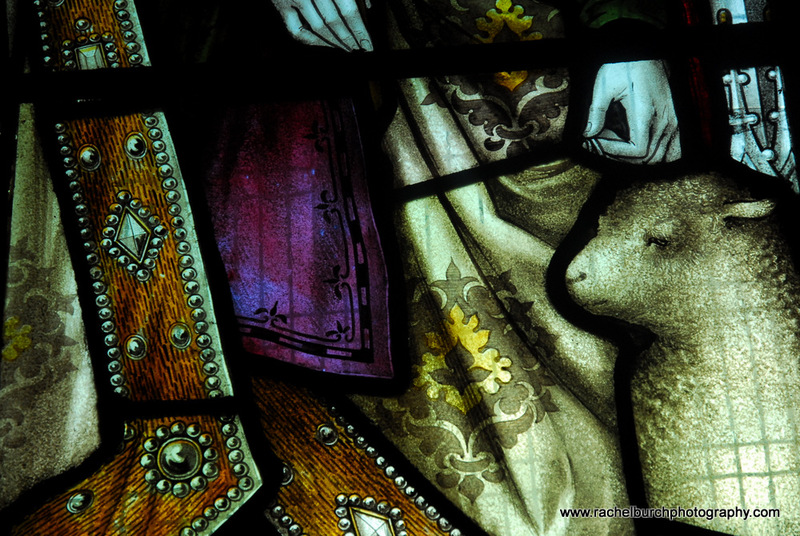 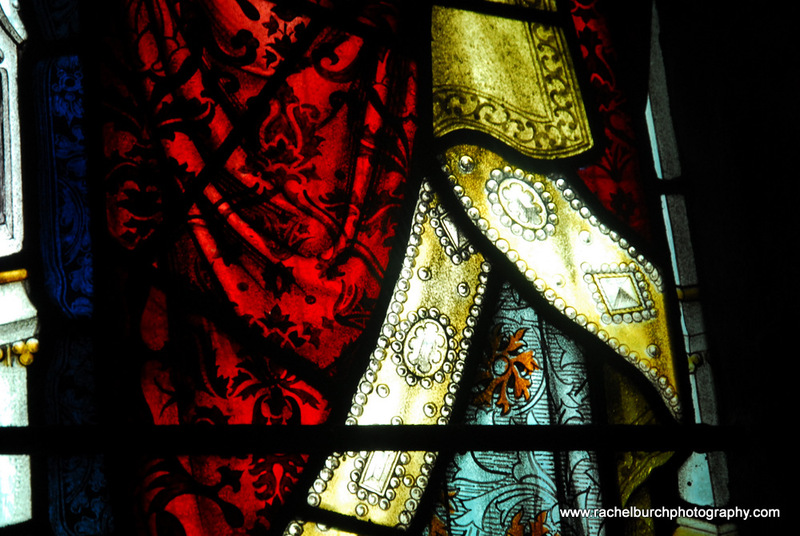 The stained glass in the church is also very lovely and of the Victorian era, I took a couple of close up shots. 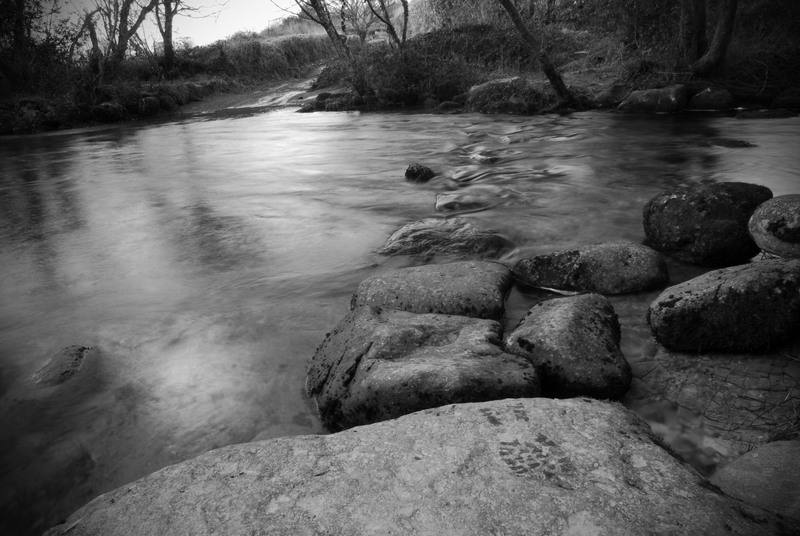 Having warmed up a little I was freezing as I got out of the car, I drove the short distance to Meavy brook and set the tripod up to capture the stepping stones and water. 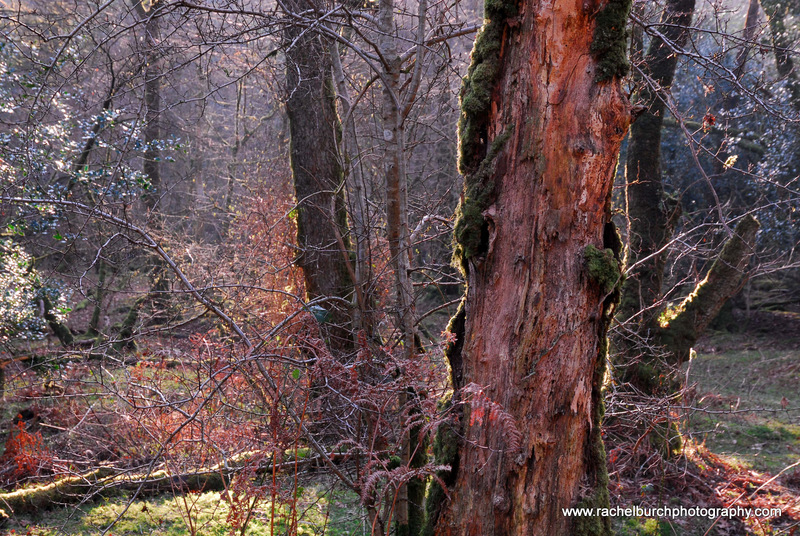 All in all I felt as though i got some nice images and it was good to get out with the camera in the midst of winter.